Aruba is a romantic island, filled with warmth and love. Perfect for couples to disconnect from the world and reconnect with each other. 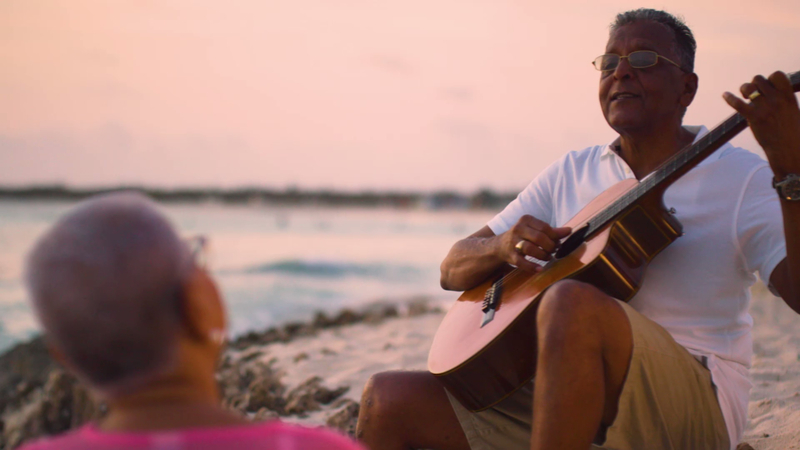 Let Aruba local, and happily romantic, Lilian, show you some of her favorite romantic gems on Aruba. Discover one of Aruba’s best places to count the stars with your sweetie, Alto Vista. Discover one of Aruba’s perfect spots to catch the colorful sunset, Arashi Beach. Discover one of Aruba’s most beautiful coves to watch the sun rise, Bushiribana. My sweetie and I like to start the day with an invigorating sunrise walk on the north coast at the Bushiribana gold mine ruins. We hike among the giant cactuses and mysterious rocks. For the amazing Aruba sunset, we visit Arashi Beach, pour a glass of wine and watch the horizon light up with color. After, it’s Salsa dancing in Oranjestad in the warm night air. And if moonlight is just right, we go to Alto Vista, a tiny hilltop chapel where we watch the stars twinkle in the clear sky. Watch videos and get insider tips from Samil.